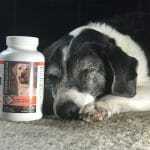 WISCONSIN — As Roxanne prepared to travel to the veterinarian’s office, it became apparent that she had much to learn about retirement. The sweet brindle greyhound had never seen stairs before, was frightened of the leash and had to be hoisted aboard the makeshift bus. Roxanne’s racing days are over at Kenosha’s Dairyland Greyhound Park, which is going out of business Dec. 31. The journey to her new life began when Kari Swanson of far west suburban Sugar Grove recently picked her up at the park and began preparing her for adoption. Swanson and other greyhound advocates have spent the last few weeks transportingÂ dogs as they become available to avoid a last-minute panic when some 600 Dairyland dogs become suddenly unemployed. Swanson is bracing for a deluge of these gentle creatures — most of them young, some injured — who need good homes. Swanson has been through severalÂ Wisconsin track closings, taking in 65 dogs over three weeks when Geneva Lakes Kennel Club in Delavan closed in 2006. While she takes in greyhounds year-round, she is now at her busiest, making 180-mile round trips to Kenosha and hauling back dogs in her used shuttle bus. 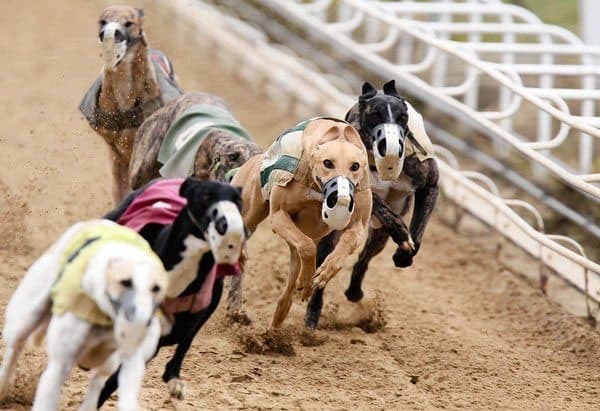 Dairyland is the last of five dog tracks left in Wisconsin, and when it ceases operations this month, it will effectively end the state’s 20-year history of parimutuel dog racing. Greyhound tracks are illegal in Illinois, but at least 23 live tracks remain elsewhere in the United States, said Dairyland’s executive vice president, Roy Berger. Remaining Midwest parks include Mystique in Dubuque and Bluffs Run Greyhound Park, also inÂ Iowa. The most successful dog tracks have added casino games and gambling. Lacking state approval, Dairyland couldn’t follow suit. “Stand-alone greyhound tracks have gone the way of pay phones and eight-track cassettes,” Berger said. The Kenosha track’s earnings have gone steadily downhill since 1994, the year that 900,000 customers visited the track. Attendance slipped to 233,300 by 2008 and is expected to drop an additional 19 percent by year’s end, Berger said. Greyhound advocates such as Swanson are concerned about whether track owners will provide temporary housing and care for the dogs after the last program on New Year’s Eve. About 600 of the lean, muscular dogs remain at the track’s 12 kennels, overseen by trainers and a veterinarian. 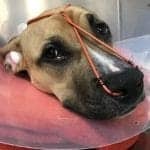 The dogs’ private owners may take them home, send them to race at other parks or euthanize them. Most greyhounds, though, will be adopted out through organizations such as Swanson’s. Dairyland owners have offered incentives to dog owners to move them out by Feb. 5, prompting a call for urgency among greyhound agencies who say that is not long enough. To prepare for the Dairyland closing, Swanson recently bought a used shuttle bus for $9,500, ripped out the passenger seats and replaced them with seven secured cages. She houses up to 15 greyhounds at a time in the kennel she built behind her home, distributing dogs that have been deemed healthy to 25 Chicago-area foster homes, where they will be prepared for adoption. Early one recent day, she escorted five females, including Roxanne, into her bus for their visit to the veterinarian, where they would be spayed. She had dropped off seven males for neutering the day before. “Our job starts where (the racetrack’s) ends,” said Sharon Horvat, of Plainfield, who whipped out a photo of her three “girls,” all adopted from racetrack programs. Greyhound fanatics describe the dogs as elegant couch potatoes, spending most of their days lounging. They enjoy being pampered with soft toys and blankets, and rarely bark. One misconception is that they require a lot of exercise, when a daily walk will do. They can be stubborn and require patience with training, Swanson said. Swanson fell in love with the breed after her beagle mix died. She adopted Jake, a greyhound who rubbed her face with his own as an initial greeting, then started up the association with a friend. The former plumber finds greyhound adoption to be a full-time effort. 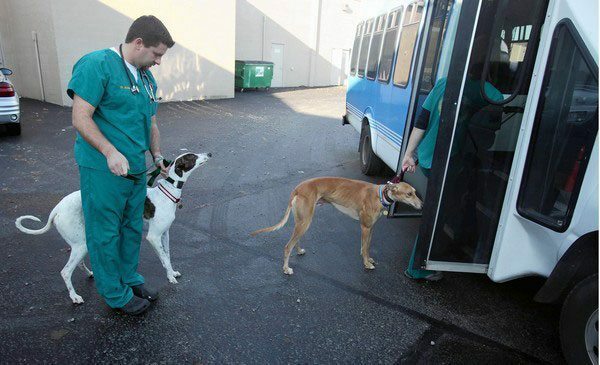 Midwest Greyhound is one of the few organizations nationally that accept dogs who have suffered traumatic injuries. During the races, the dogs chase mechanical prey, usually a stuffed rabbit, and are prone to leg injuries. 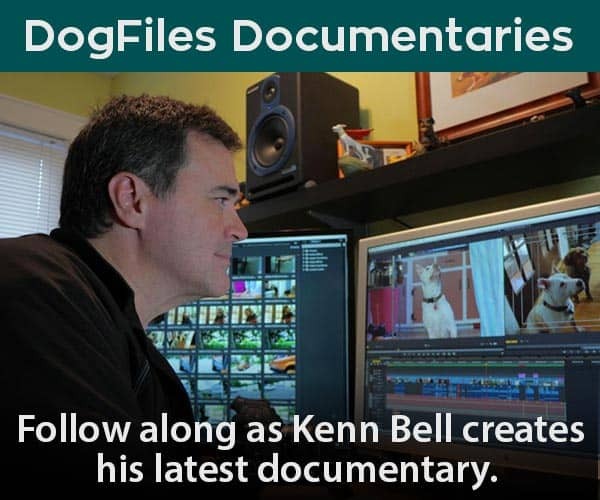 Each of the dogs must be “cat-tested” so that a family pet does not become prey. The greyhounds weigh 55 to 100 pounds, live to be 10 to 15 years old and are more muscular when used for racing, Swanson said. They must be leashed or kept in a fenced yard whenever outdoors, she warned. The canines run up to 45 mph and can bound 17 feet, rendering an electronic fence ineffective if something moving catches their attention. It could be a rabbit — but it could also be a plastic bag whipping across the lawn on a windy day. Over the last 18 years, Swanson figures that she has placed more than 2,000 dogs in adoptive homes, requiring new owners to sign a lease that gives her permission to take them back if they do not take good care of them. That has happened once or twice, when the dogs kept getting loose. 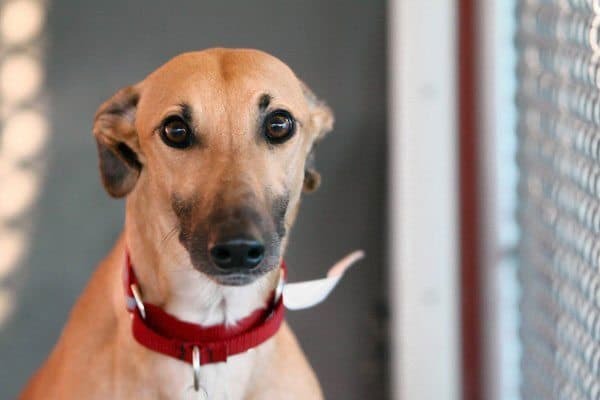 Roxanne, for one, is now living with a foster mom, Marilyn Golz, whose family shares theirÂ River Grove home with three of their own greyhounds and three cats. Roxanne is “terrified of the outside world” but gets along well with the other pets, she said. Molly From South Orange, New Jersey Needs A Forever Home! Please Help! 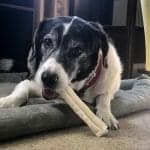 Dog Files Opinion: Missouri Votes "YES" On Prop B! 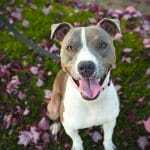 ICON Uses Vicious Pit Bull Imagery!